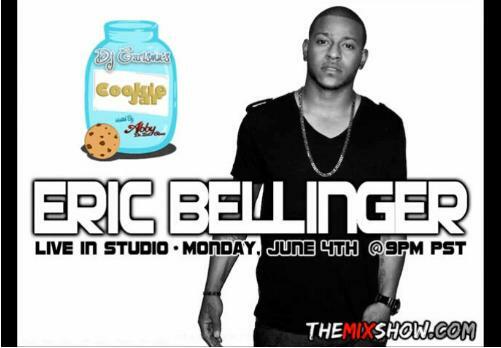 The Cookie Jar with our girl DJ Carisma returned last night with a brand new show, which featured emerging singer-songwriter Eric Bellinger (Usher, Ne-Yo, Kelly Rowland, Jennifer Hudson) as the special guest. The LA native spoke about all sorts of topics including, his writing, current projects, upcoming mixtape, and of course answered all of Abby De La Rosa’s revealing questions. Watch his live acapella below and hear the full mixshow HERE… Enjoy!! This entry was posted in Entertainment News and tagged DJ Carisma, Eric Bellinger, Power 106, TheMixShow. Bookmark the permalink.